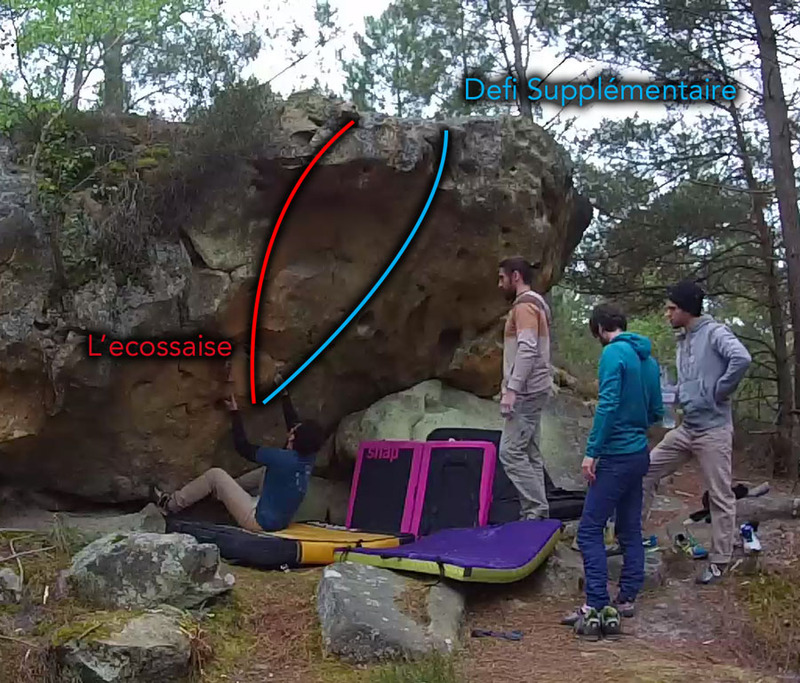 On an orange isolated boulder in between Le Bilboquet (Cul de Chien) and the start of orange circuit AD+ n°2. Sitstart on the left side of the roof via pockets and a toe-hook, gain a larger pocket undercling right hand, dyno up to the jugs and mantle up above. Sit start left side of roof via pockets and toe-hook, gain larger RH pocket undercling and dyno up to jugs and mantle.